NTT Inc. - PLC Automation Systems: How do they Work? PLC Automation Systems: How do they Work? A Programmable Logic Controller (PLC), also referred to as programmable controller, is a digital computer that is built to control manufacturing processes like robotic devices and assembly lines. The programmable logic controller is used in many areas where there are activities that require high control, process fault analysis and ease of programming. PLCs were first used in the automobile industry where they were used to provide ruggedized, flexible and controllers that could be easily programmed. They replaced the previously used hard-wired timers and relays. Since their introduction, they have been adopted by many other industries due to their high reliability even in harsh environments. A PLC is considered a hard real-time structure because the output results have to be released in response to the input conditions in the given time limit. If it’s not set in that manner, an operation that was not intended will occur. PLCs can be small devices used in the building of bricks or very large modular devices that are rack-mounted. Large devices have thousands of inputs and outputs, while, small devices only have tens of them. The PLCs are usually connected to other SCADA and PLC systems. These systems can be designed for more than one digital or analog input and output arrangement, different temperature range, vibration and impact resistance, and invulnerability to electrical noise. The programs that control the operation of machines are usually stored in memory that is non-volatile or backed up in the battery. Before the invention of PLC, sequencing, control, as well as safety interlock logic used in automobile manufacturing, consisting of relays, drum sequencers, closed-loop controllers, and cam timers. When the previous controllers had to be updated, it was very tiresome and time-consuming since the electrician had to change their operational characteristics by individually rewiring the relays. This process was also very expensive considering that in some places it could be done twice in a year. What Led to the Invention of PLCs? When digital computers, which could be programmed for any purpose, were made available, they were immediately applied in the industries to control combinatorial logic and sequential processes. However, these computers necessitated strict operating environmental control and specialist programmers for cleanliness, temperature, and power quality. The need to counter these challenges led to the search for a better system and that is why the PLC was invented. The PLC had many delightful attributes; a person only took a while to learn its use, operations could be easily monitored, and could support discrete output and input. The effectiveness of PLC led to its popularity and was adopted in almost every sector. Unlike the earlier systems which were very expensive and took a very long time to reprogram, PLCs can be easily reprogrammed and designed to the wanted characteristics. You do not need to change thousands of wires. A person can easily learn how to do this by undergoing training from a reputable institution. It’s possible to embed multiple devices like memory shells and timers in a one PLC. You can also attach multiple sensors such as sensors for humidity, temperature, speed, and motion on the same PLC. This creates a lot of convenience for the user. With PLC it’s possible to monitor various processes. This way it’s very easy to control and manage energy costs. Minimized energy costs will finally reflect in high returns on the invested money, thereby, allowing you to use the money for business expansion or other purposes. Every businessperson aims at improving the quality of their goods and services so as to increase the size of the business’s market. PLC enables you to improve the quality of your product since it helps you to make quality decisions that are derived from comprehensive data analysis. Since PLCs are automated, they speed up production, thus, reducing the time taken for a process to be complete. Also, there is less chance for human error since there is minimum interference. Therefore, the process will be fast and uninterrupted. When you introduce an automated machine at the workplace, work is completed at a faster rate and the company runs more efficiently. However, there is need to train your workers on safety when using these machines to avoid accidents. Less money will be used for compensation and you will avoid losing quality staff to accidents that could have been avoided. It’s important to have your employees trained on the use of PLCs. The training will increase your company’s productivity and improve service delivery. 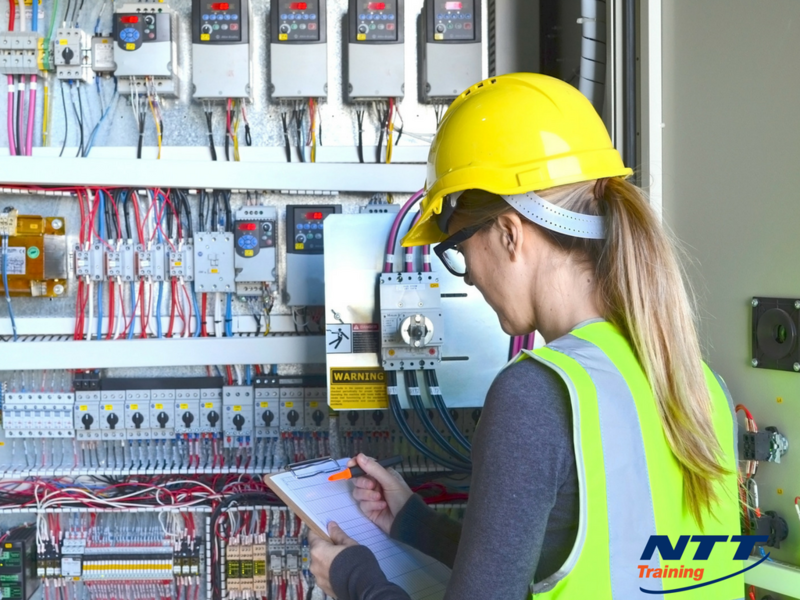 If you’d like your employees to receive training on PLC automation systems, consider the NTT Training. Feel free to contact us for more information.